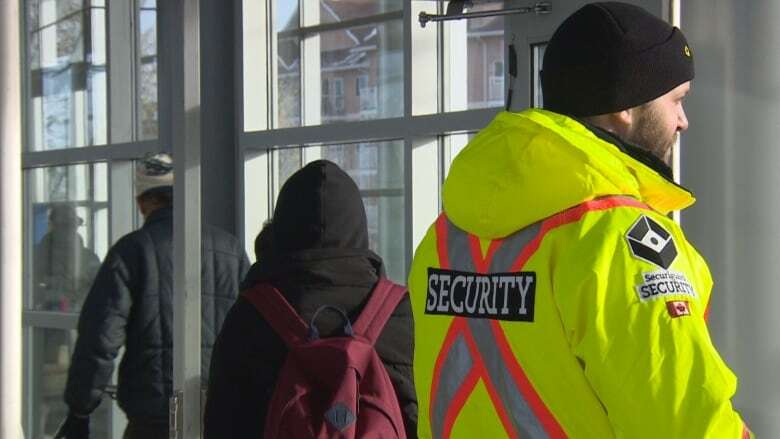 They're hard to miss: dressed in bright yellow jackets with the word 'security' written in big letters on the back — they are the new guards patrolling 25 transit centres in Edmonton. They're hard to miss: dressed in bright yellow jackets with the word 'security' written in big letters on the back. 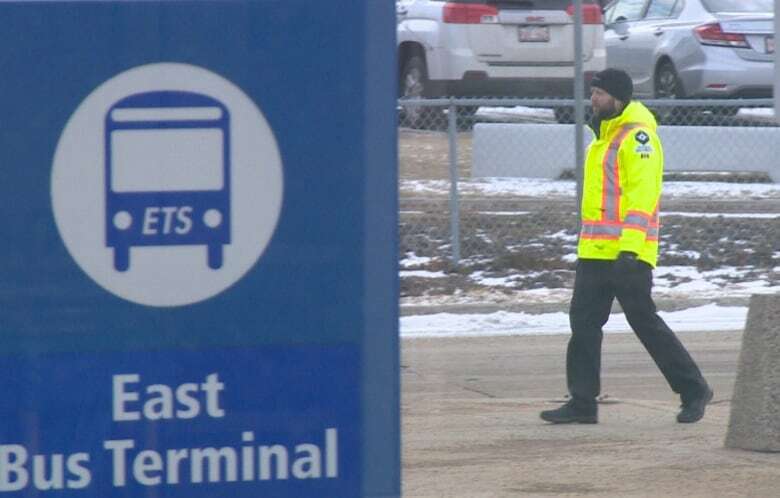 In an effort to improve security, there are now guards patrolling 25 transit centres in Edmonton. The new contingent started around-the-clock patrols on Monday, in an attempt to boost safety at LRT and bus stops from Clareview to Century Park. Several riders told CBC News that they welcome the new security. Patricia Bourque spends a considerable amount of time on public transit and takes the LRT from Clareview to Capilano about five times a week. "It can be a bit scary," she said of transit service at night. "I don't see any peace officers or any type of security." She said by the time a concerned patron can get to a security button or emergency phone, "I feel that's too late." 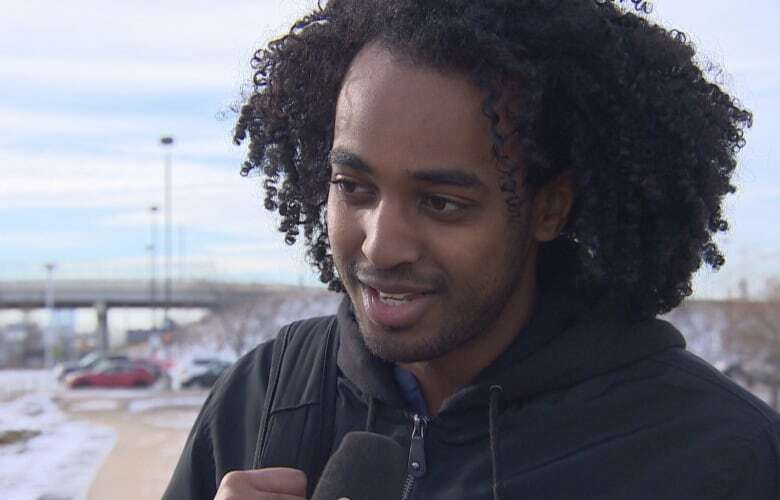 Nebil Ilyas is a student at the Northern Alberta Institute of Technology and takes the train to school from Clareview. He said many of his friends have stopped taking the bus and he opts for the LRT instead of taking certain buses, namely route #8. "[There's] a lot of yelling, aggressive behaviour, just no mind for the other passengers on the bus." Illyas said he's been caught in the crossfire of incidents before, and no one was around to help. "Most of the time you wouldn't really see security anywhere," he said. "They just weren't anywhere to be seen in times of need." He said the visible security presence will likely encourage his friends to start taking transit again. "I feel like it was really needed." The new security comes after two violent assaults at southside transit stops in September. In one incident on Sept. 18, a 19-year was stabbed at the South Campus LRT platform and on Sept. 26, a bus driver was stabbed at the Mill Woods transit centre. City council agreed to move forward with enhanced safety measures at transit stations as outlined in a report presented Oct. 9. The report estimates the extra security will cost $980,000 for the remainder of 2018 and $5.89 million a year thereafter. A third party is providing the patrols and assigning a guard to a 12-hour shift at each of the 25 transit centres. 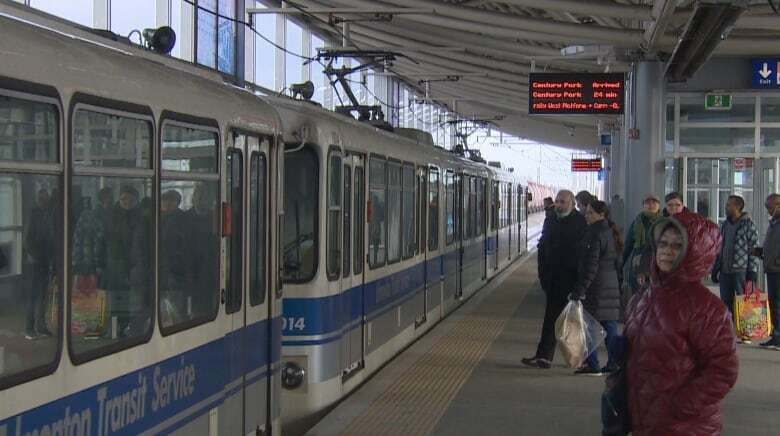 Mark Tetterington, president of the Amalgamated Transit Union, said the third-party security guards will work alongside the current 60 peace officers designated to transit operations. 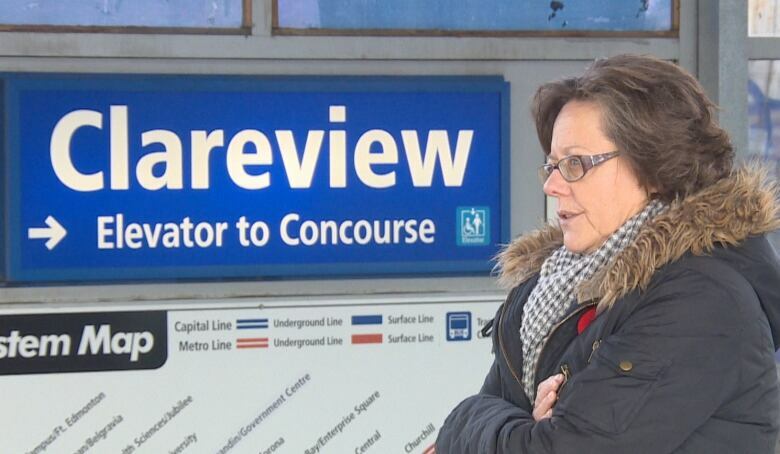 "I think it's going to deter a lot of people from fare evasion, from potentially assaulting operators. I mean, it's great, just to have that visible presence there." But keeping an eye on possible bad behaviour may be the extent of the security guard's duties. Tetterington believes the guards don't have the authority to physically interfere in altercations but noted that they have a direct line to peace officers and Edmonton Police Service. The added presence is also welcome news to Julio Torres, who works for a company contracted by the city to clean the LRT platforms. "I am glad because it makes me feel better," he said. Bus drivers are also slated to get retractable shields in the coming year, as another safety enhancement on public transit.